An East Texas country music star has released a new song taking aim at those who take a knee during the National Anthem. It is with incredible sadness to announce that country music icon Merle Haggard has passed away at the age of 79. Wow, this one hits close to home. I grew up on listening to the likes of Merle Haggard, Johnny Cash and Hank Williams, Sr. as my parents played the 8-track tapes over and over. Yes Millennials, 8-track tapes, Google it. There were just so many songs to like from country great Merle Haggard, The Tennessean has provided 15 songs that defined a legendary career. Rest in Peace Merle. Merle Haggard, one of the most successful singers in the history of country music, a contrarian populist whose songs about his scuffling early life and his time in prison made him the closest thing that the genre had to a real-life outlaw hero, died at his ranch in Northern California on Wednesday, his 79th birthday. His death was confirmed by his agent, Lance Roberts. Mr. Haggard had recently canceled several concerts, saying he had double pneumonia. Few country artists have been as popular and widely admired as Mr. Haggard, a ruggedly handsome performer who strode onto a stage, guitar in hand, as a poet of the common man. Thirty-eight of his singles, including “Workin’ Man Blues” and the 1973 recession-era lament “If We Make It Through December,” reached No. 1 on the Billboard country chart from 1966 to 1987. He released 71 Top 10 country hits in all, 34 in a row from 1967 to 1977. Seven of his singles crossed over to the pop charts. Merle Ronald Haggard was born on April 6, 1937, in Oildale, Calif. His first years were spent in the abandoned boxcar that his father, James, a railroad carpenter, had converted into a home for his family. James Haggard died of a stroke in 1946, after which Mr. Haggard’s mother, the former Flossie Mae Harp, a strict and pious member of the ultraconservative Church of Christ, took a bookkeeping job to provide for her three children. Merle wanted to be seen the way he was. Seated in an easy chair in the living room of his modest home, he discussed a recent operation that removed a cancer from his lung, the cancer that ultimately returned and took his life on April 6 at age 79. Darkness fell. Merle grew quiet. He slipped in a DVD of his favorite preacher, Dr. Gene Scott, who spoke of eternal life. When the sermon ended, I asked Merle whether he feared death. “Sometimes I fear it,” he said, “and other times it calls to me like a forgotten dream or an old song. I’m not saying I welcome it, but I recognize it as part of a holy process. Born of nature, return to nature. Maybe that’s the name of my last song. By any chance have you heard the song, “An American with a Remington”? If not, take a listen below and let us know what you think. Its a song by country greats Larry Gatling of the Gatling Brothers fame and Billy Dean. The song was written in response to radical Islamic terror attacks and innocents having their heads cut off at the hands of ISIS. As Larry Gatlin said, “I really pissed us off”. From Billboard comes the Gatlin Brothers defending their so-called controversial song about guns. Please, its not controversial, people in this country have become too gutless and sensitive and are offended about everything. Gatlin — who is a frequent guest commentator on the Fox News network — also pushes a few buttons with the candid “An American With a Remington,” which the singer co-wrote with Billy Dean. “We’d been watching TV one night and saw the bad guys burning people alive in cages and cutting their heads off because they wouldn’t convert to Islam. We didn’t like that. A week later, he said he had an idea for a song. We wrote it and put it on Facebook and got 16 million hits. Then, we decided to let some friends of ours do it because they were a bigger act than us, but their record company wouldn’t let them put it out. I was mad about it for about five seconds until I realized that we were supposed to record it. What makes you think I would turn and run? Of course and then there is Barack Obama, Hillary Clinton and Democrats who want to take away your Second Amendment rights and take away your Remington’s. As Tammy Wynette sang … DIVORCE. Blake Shelton and Miranda Lambert are getting divorced … TMZ has learned. The couple filed divorce docs a while ago, and a judge is expected to officially end their 4 year marriage today. We’re told Blake is the one who filed. We’re also told all the financial arrangements have been worked out … made easy by the fact that they have a prenup. The divorce was filed in Oklahoma. Second Amendment controversy erupts as ’Toby Keith’s I Love This Bar and Grill’ does not permit guns in establishment. Once again we are presented with a situation that puts Americans on both side of the fence of the gun question. The country singer restaurant named after himself, ‘Toby Keith’s I Love This Bar and Grill’ in Woodbridge, VA has plunged into said gun carry controversy. The restaurant’s statement says, “It is our desire to provide a safe, enjoyable and entertaining experience for our patrons and staff.” Obviously, that is not a true statement because those who have carry permits and want to frequent this bar and grill do not feel safe or entertained. 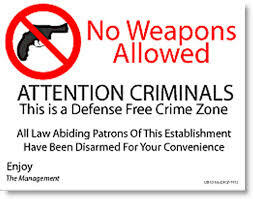 How does one provide a safe environment when only the bad guys would bring guns into the establishment, because as we all know, bad guys, thieves, robbers, thugs and punks don’t follow abide by the law or signs that say, “No guns permitted”. A new restaurant that recently opened in Woodbridge is sparking a Second Amendment controversy, especially online. The restaurant named for country music star Toby Keith has posted a “No guns permitted” sign on its front door and gun rights supporters are blasting the restrictions on the chain’s Facebook page. Some comments accuse Keith, who doesn’t own the restaurant, of being anti-gun. Virginia is a right to carry state, which means residents can openly carry a firearm without a license. In the The United States, “We the People” have a US Constitution and a Second Amendment Right to bear Arms, shall not be infringed; however, private business owners also have a right to make certain guidelines for their places of business. Or do they? To read most of the comments from the anti-gun crowd show their ignorance and uninformed opinion of what is taking place. Virginia law specifically states that that an individual can carry a gun on to a premises that sells alcohol as long as the permit colder does not consume alcohol. If they do, any person granted a concealed handgun permit who is under the influence of alcohol or illegal drugs while carrying such weapon in a public place shall be guilty of a Class 1 misdemeanor. Let’s see what happens when the bad guys bring guns into this establishment and rob the place knowing that it is a soft target and a gun free zone. Some thing to think about … Isn’t it interesting that a business can discriminate against law abiding, gun carrying, Second Amendment, state law protected Americans and tell them to leave or not serve them, yet if that same establishment discriminated against the patron based on their skin color, religion or sexual orientation, they would be fined, closed down and possibly arrested for violating their civil rights? Of course in the end, you have the right to protest this place of business with you wallet and go all “Duck Dynasty” on them. Eventually places of business will learn to understand who their customer really is and not be consistently fall in line with liberal, knee-jerk political correctness.